bright beautiful bright glass of alcoholic cocktail or lemonade on a table in a bar. soft focus. 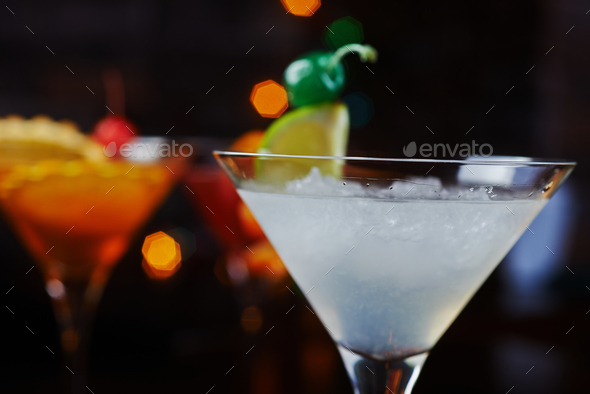 one bright refreshing cocktails: lime daiquiri on a table in a restaurant with creative decoration of lime slices and ice on a wooden table in a bar or restaurant with a beautiful dance disco lights bokeh in the background. soft focus.